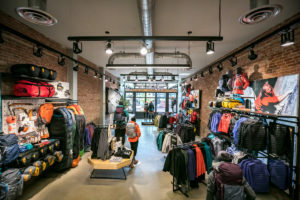 You can tell when a retail store uses a professional cleaning service to keep their space in tip-top shape for not just their clients and potential clients, but for their employees as well. It will be obvious in the state of cleanliness in common areas such as their restrooms, the appearance of their windows and floors, which will in turn affect the general positive atmosphere of their business. Unfortunately, some business owners believe that they should leave the cleaning of their business left up to their employees to do after hours. They may wrongly believe that since they are occupying the space, and since it would save them a couple of bucks, having their employees clean ought not to be a problem. But the truth is, your staff is most likely unable to do the type of thorough cleaning that is necessary to ensure that workplace hygiene is not compromised. Here are some reasons why it is absolutely essential that you hire a professional cleaning service for your store. Your employees are not trained to clean. If, however, they are forced to do so, they may do it, but it will definitely be done half-heartedly, with as little effort as they can get away with. They are more likely to do “surface cleaning”, that is making sure the place “looks” clean but it really isn’t. They may simply run a cloth along a surface one time and call it clean, while missing spills and splashes or debris located in “hard to reach” places, that is, places that are not very visible. The state of a shop’s bathroom can be one of the biggest turn off to shoppers. If the cleaning is left to employees and it is not done well, then shoppers will not feel comfortable and if they cannot shop in comfort, they are prone to spending their money elsewhere. Hiring a professional to take care of your cleaning will drive your revenue, as it will play a big role in customer retention. Cleaning can turn out to be more dangerous than you think, especially when it is being done by someone not trained to do so. Slippery floors, use of chemical cleaning agents, stretching to get to hard to reach places and many other etc., are all risks for disaster to happen, not just for the employees but for your customers as well. Lack of knowledge or skill should not be an excuse if accidents and incidents happen as a result of having your staff do the cleaning. Professional cleaners go through training which equips them with appropriate safety guidelines which they must adhere to when carrying out their tasks. Therefore, you reduce the possibility of causing serious harm-and having a lawsuit hanging over your head. Professional cleaners have insurance coverage to protect themselves in the event something happens while doing their job, ensuring that you as the store owner, are not held responsible. If you intend for your retail store to operate at the highest standard, hiring a professional cleaning service will be an integral addition.